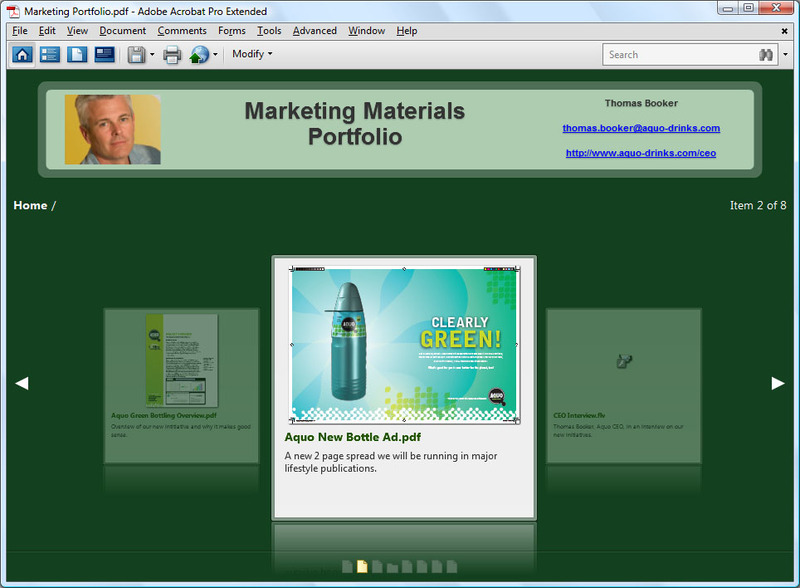 Webtop Watch: Adobe Launches Acrobat.com and Releases Acrobat 9 (With Flash). Continuing its push to become a major provider of Webtop software, Adobe is releasing two new products on Monday: Acrobat.com and Acrobat 9. Adobe’s Webtop arsenal already includes the recently launched online version of PhotoShop and its online media player, Adobe TV. 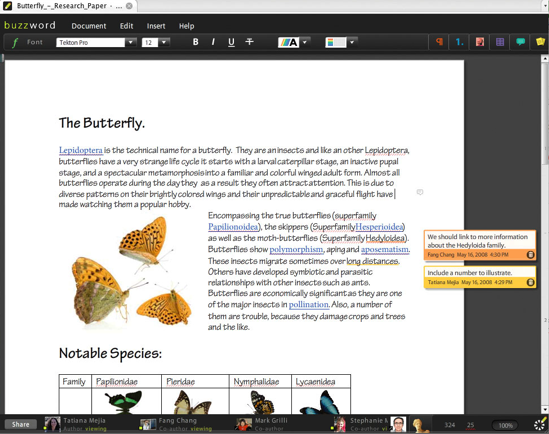 Acrobat.com is another big step towards bringing more desktop-like experiences to the Web. “It is our intent to blur a lot of the lines of the past,” says product manager Erik Larson. 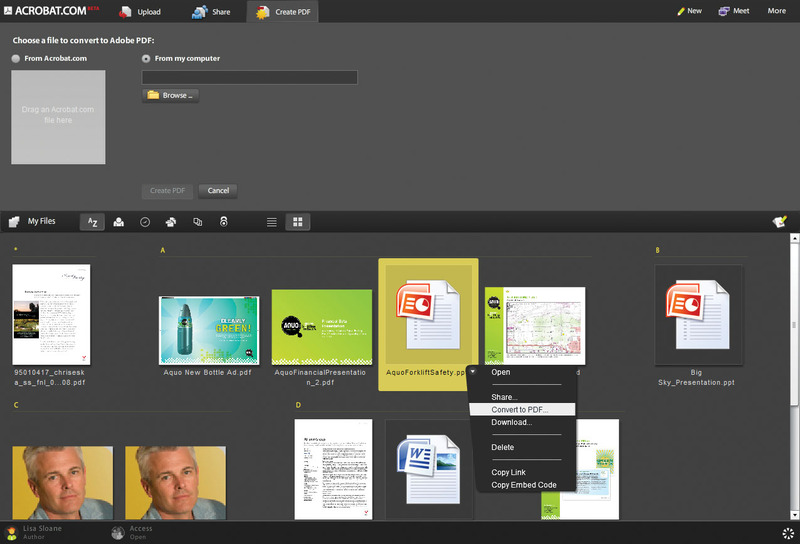 Acrobat.com is a combination of three recently launched online services: Adobe Brio (online meetings), Adobe Buzzword (online word processor), and Adobe Share (online file sharing). Thus with the public beta launch of Acrobat.com, Adobe is taking on Google Docs, Microsoft Office Live Workspace, WebEx, and GoTo Meeting—all at the same time. Buzzword is now integrated into Acrobat.com as the default word processor. (I reviewed Buzzword and Share when they first launched last March). 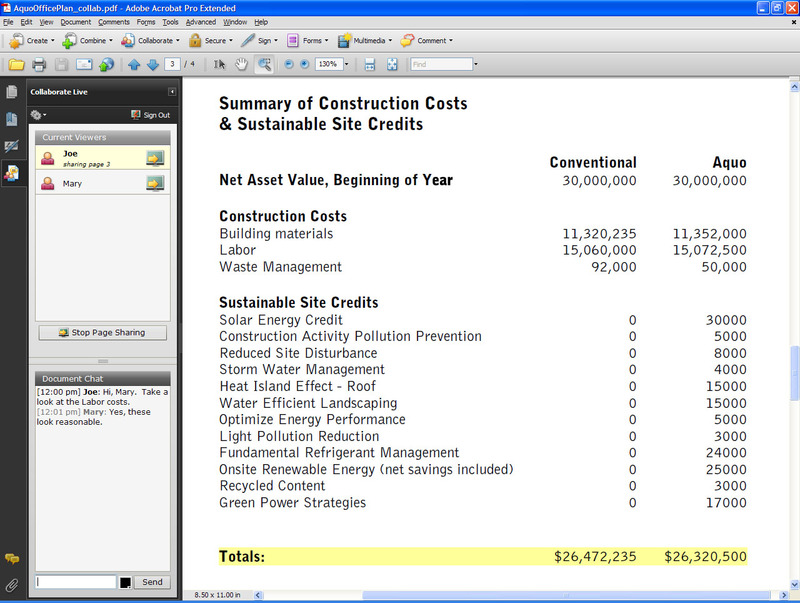 Multiple people can edit a document and leave comments. Tabs along the bottom representing different people show you who has accessed the document most recently and their status (author, reviewer, etc.). It paginates documents, supports all kinds of fonts, and lets you create the closest equivalent to a PDF that is possible online. All the documents on Acrobat.com are organized in what up until now has been Adobe Share. 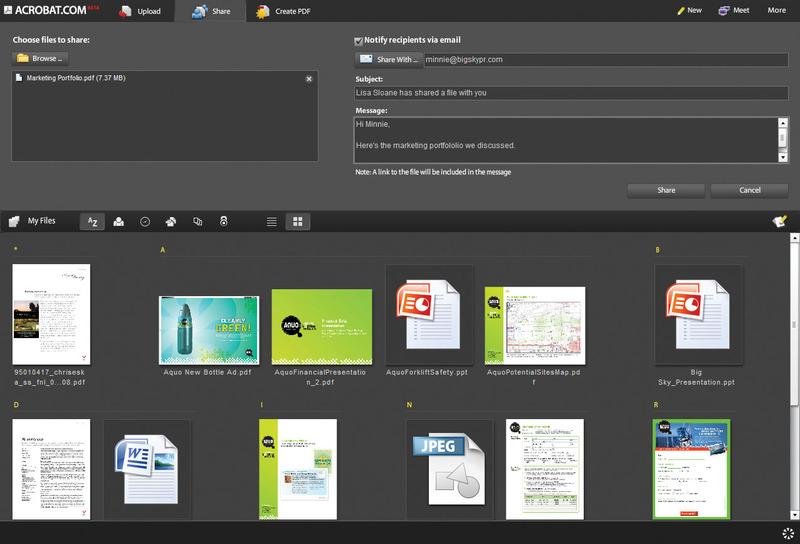 The document and file-sharing service now offers five gigabytes of free storage, and lets you embed documents in a widget on other sites across the Web. (I’ve put an Adobe PDF widget at the bottom of this post). This last feature should worry startups like Scribd and DocStoc, which are based entirely on the ability to upload and share documents in a similar fashion. Finally, my favorite part, Acrobat.com includes Brio, which is a light version of Adobe Acrobat Connect. It lets up to three people have online meetings for free, with screen sharing, desktop video, voice conferencing, chat, white-boarding. You can add in a regular toll line for a fee. Anyone with a Mac is going to love this. Whenever I get a virtual demo, I prefer to do it through Adobe Connect because WebEx and GoTo Meeting sometimes don’t work with my Mac. And Adobe’s Flash viewer simply looks better. At the same time Adobe is launching Acrobat.com, it is releasing Acrobat 9—a major upgrade to one of its anchor desktop apps. The big news here is that for the first time, Adobe’s PDF-creating desktop software will support Flash. So people can now create documents with embedded Flash movies from YouTube, or developers can design entire new skins for electronic documents using Adobe’s Flex framework—the same programming tool they use to create Web applications. PDF documents made with Acrobat 9 also support collaboration among multiple authors and reviewers over the Internet, making them connected documents. Best of all, they no longer take forever to load. The next step is for Adobe to make it easy to turn any PDF into a Web page, and vice versa.